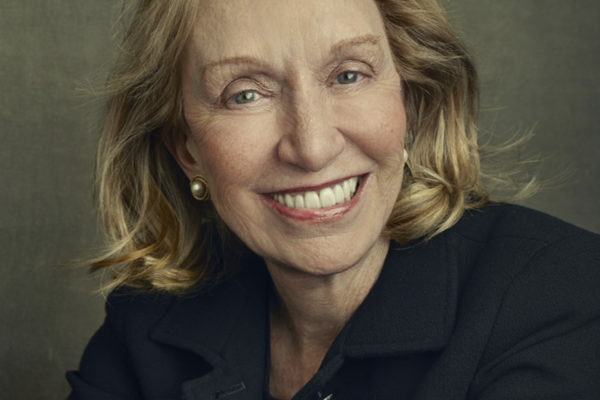 Join the Ali Center in welcoming this month’s Daughter of Greatness, Doris Kearns Goodwin. Doris Kearns Goodwin is a world-renowned presidential historian, public speaker and Pulitzer Prize-winning, New York Times #1 best-selling author. Her seventh book, Leadership in Turbulent Times (published on September 18, 2018 by Simon & Schuster), is the culmination of Goodwin’s five-decade career of studying the American presidents. The book delivers an illuminating exploration into the early development, growth, and exercise of leadership as exemplified by Abraham Lincoln, Theodore Roosevelt, Franklin D. Roosevelt and Lyndon B. Johnson. It provides an accessible and essential road map for aspiring and established leaders in every field and for all of us in our everyday lives. Spielberg and Goodwin previously worked together on Lincoln, based in part on Goodwin’s award-winning Team of Rivals: The Political Genius of Abraham Lincoln, an epic work that illuminates Lincoln's political genius, as the one-term congressman and prairie lawyer rises from obscurity to prevail over three gifted rivals of national reputation to become president. Team of Rivals was awarded the prestigious Lincoln Prize, the inaugural Book Prize for American History, and Goodwin in 2016 was the first historian to receive the Lincoln Leadership Prize from the Abraham Lincoln Presidential Library Foundation. Well known for her appearances and commentary on television, Goodwin is seen frequently on all the major television and cable networks and shows including Meet the Press and The Late Show with Colbert Report. Most recently she played herself as a teacher to Lisa Simpson on The Simpsons and a historian on American Horror Story. Goodwin has served as a consultant and has been interviewed extensively for PBS and HISTORY's documentaries on Presidents Johnson, Roosevelt and Lincoln, the Kennedy family, and on Ken Burns’ The History of Baseball and The Roosevelts: An Intimate History. She served as a consultant on HBO Films' All the Way starring Bryan Cranston as President Johnson. A hot breakfast will be served at 8:30 a.m and the program will start at 9:00 a.m. Contact Morgan Szabo at 502.992.5312 with questions.